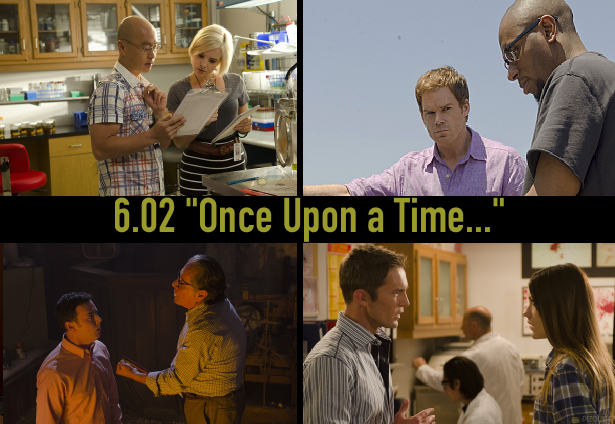 Tonight: the re-run of the second episode of season 6 "Once Upon A Time..." on Showtime. The episode was written by Tim Schlattmann and directed by SJ Clarkson. To solve a mysterious and macabre murder, Homicide brings in Brother Sam, a minister with a criminal past whom Dexter recognizes as a fellow killer that might have found a cover even better than his own; now a local hero, Debra is surprised by two life-changing proposals.